Premium Quality Prefinished Hand Scraped Brazilian Cherry Butcher Block Countertop. 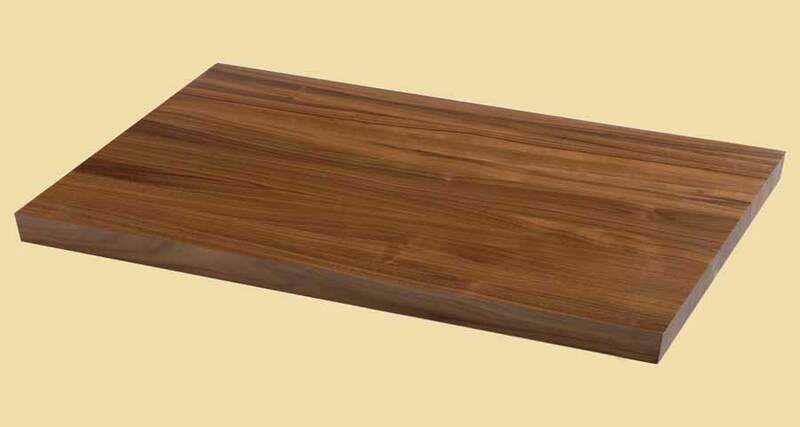 Quote and order any prefinished hand scraped butcher block online! Fill in the size and specifications below. 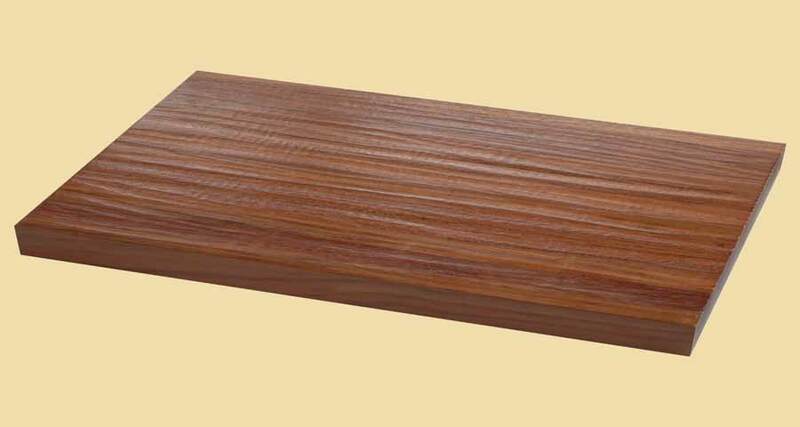 A very strong, dense hardwood, Brazilian Cherry wood (also called Jatoba) has an interlocking grain and a texture that can range from medium to coarse. The color also varies, from a light brown with orange undertones, to a deeper, rich brown with red undertones. Whatever the shade, Brazilian cherry prefinished hand scraped butcher block countertops have a natural glow to it that makes it an especially inviting wood. Our prefinished hand scraped butcher blocks are a work of art. They will add a rustic look to your home and are sure to be an eye catcher. We have several choices for the top edges of your hand scraped top. The hand scraping may or may not run into the edge occasionally. While hand scraped butcher blocks can used for light food preparation, they are more often chosen for their beauty. 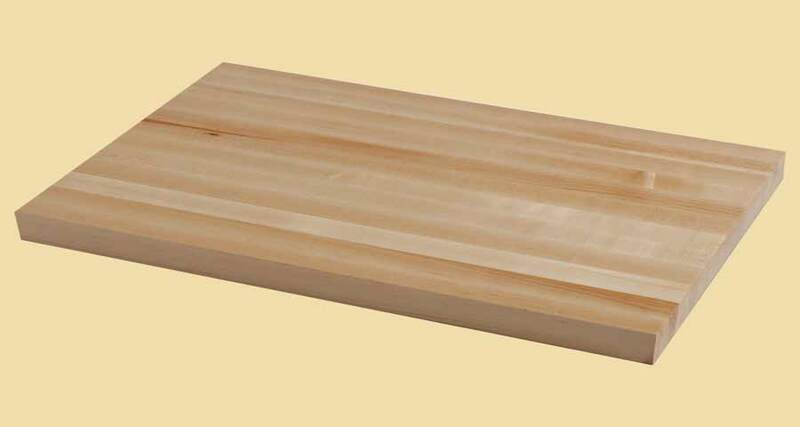 If your prefinished hand scraped butcher block countertop will not be used for food preparation, conversion varnish is the recommended choice. Conversion Varnish: This is a durable, long lasting finish and the recommended choice if your hand scraped butcher block will not be used for preparing food. Three coats of our 45 sheen commercial grade conversion varnish are applied to the top surface. Two coats are applied to all other surfaces. A special catalyzer is added for durability. If your block will be used for preparing food, conversion varnish in not the appropriate choice. Mineral Oil: If your butcher block may be used for food preparation, this is the recommended choice. Two coats will be applied to all surfaces, including the underside. When you receive your block, you should continue to apply mineral oil once a day for a week, and once a month thereafter.